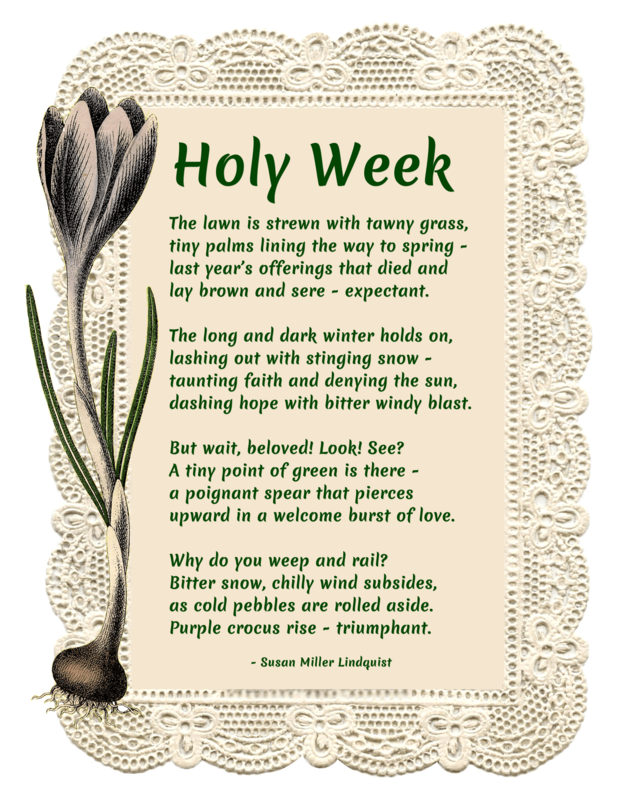 Our own Susan has written an original poem in honor of Holy Week. lay brown and sere – expectant. dashing hope with bitter windy blast. But wait, beloved! Look! See? upward in a welcome burst of love. Why do you weep and rail? as cold pebbles are rolled aside. Purple crocus rise – triumphant. *Please do not use this original poem without permission!